The Problem: Some coffee vendors sell kosher and treif (non-kosher) items, like the Bacon & Gouda Breakfast Sandwich and the Pepperoni & Tomato Savory Foldover.1 The keilim (utensils) used for coffee and treif can at times be washed together, causing blios, absorbed tastes, from the treif kli to enter the coffee equipment. In Starbucks, for example, it’s been established that the brew basket that holds the coffee grounds while the coffee is being made is sometimes washed with keilim that may have come into contact with treif. If we have a “perfect storm” situation in which the wash water is yad soledes,2 and no soap enters the water before the treif equipment is placed in the water, then the brew basket is considered treif and the coffee made afterwards is treif. We do not know the cleaning procedures used by all coffee vendors, but most of them sell treif items along with coffee and the possibility exists that similar keilim issues may be present. Based on these facts and assumptions, the psak (halachic decision) should be that one is permitted to buy hot coffee only from vendors that he knows do not sell treif, or whose cleaning procedures do not impact the kashrus of the coffee. This is, indeed, STAR-K’s opinion on purchasing coffee from stores that sell treif items. The Exception: True or False? If one is traveling on the road – by car, plane, bus, or horse – he can stop at a rest stop, gas station or even a Starbucks and purchase a hot cup of Joe. Give yourself a star if you answered True. Upon what is this exception based? We need some background to answer this question. Our concern centers on the keilim used to make coffee and/or the utensils from which one may drink that may have blios from treif. The question we need to answer is if buying coffee in a non-kosher establishment while traveling has the status of a b’dieved situation. 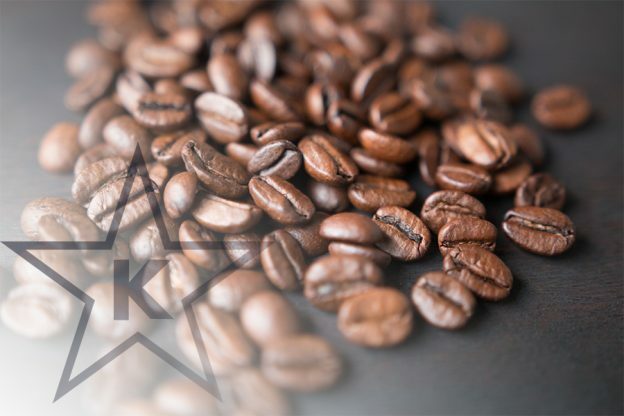 This would allow us to apply the principle of Stam Keilim to the coffeemaking equipment and grant us a guilt- free cup of Starbucks (how to avoid guilt while paying $5 for a cup of coffee is beyond the scope of this article). The issue addressed by the Nodah B’Yehuda revolved around drinking coffee from the coffeehouse’s mugs. It was assumed that the mugs had non-kosher milk in them when the Gentile patrons drank their coffee. In those days, there was no heter (permission) to drink non-cholov Yisroel milk or cholov stam and it was considered רוסא, not kosher. Since paper cups had not yet made their way onto the scene, the only way to drink the coffee was to use the mugs that had absorbed the taste of non-kosher milk. What was a Jew to do? The mug was a Kli Sheni9 and, therefore, not hot enough to cause a transfer of treif milk taste into the coffee. Stam Keilim. The halacha we referenced earlier allows us to assume that utensils have not been used within 24 hours, and any blios are pagum. Let’s return to the future now. We don’t need to use the non-kosher mugs in our Gentile-owned coffeehouses. We have disposable everything these days, including cups, Baruch Hashem. Yay! Order up that Starbucks Venti (20 oz size for the uninitiated)! If you recall, our 21st century issue is not mugs – it’s the washing procedures that may mix treif dishes with the coffeemaking equipment. Disposable cups won’t save us from that. “But wait,” you say. “What about Stam Keilim?” Whew, crisis averted! Sorry for the rollercoaster of emotions I’m putting you through, but the heter of Stam Keilim applies to b’dieved situations only, as previously mentioned. No! Rabbi Heinemann, shlita, has ridden to our rescue using ten words in the Nodah B’Yehuda that we quote here, “ולהלכה למעשה בדרך באושפיזא שאין שם כלים אחרים מיחשב דיעבד וכו'”, Practically speaking, when someone is traveling and is in a place where no kosher utensils are available, he is considered to be in a b’ideved situation” and he may use the gentile owned mugs. The Nodah B’Yehuda allows the use of the mugs based on the heter of Kli Sheni because traveling is a b’dieved situation. Rabbi Heinemann applies the same lomdus (thinking) to our modern coffeehouse issue. He says when someone is on the road traveling, he is considered to be in a b’dieved situation. Based on our investigations, we also know that the treif dishes are not always washed with the coffee equipment.11 Therefore, we can use the heter of Stam Keilim since we are in a b’dieved situation. One Venti House Blend coming up! While you are savoring your caffeine-fix, let me remind you of a few caveats. Once you get home, it’s back to Moishe’s Coffee Café for you. You are no longer considered to be in a b’dieved situation; you’re back in L’chatchila12 Land, and non-kosher coffee places should be avoided unless you know clearly that no treif utensils are washed with the coffee equipment. Bear in mind that even while traveling, you can only order regular or decaf coffee and a Latte made with stam cholov (if you don’t keep Cholov Yisroel). Frappuccinos and other similar flavored coffee creations contain additional ingredients that need to be reviewed before they can be recommended. I didn’t make these up, they are actual choices on the Starbucks menu. Literally, the temperature at which someone will quickly remove his hand to avoid being burned. The food must be at least this hot before its taste is considered to have been transferred into a utensil. Rabbi Heinemann holds yad soledes is 120oF. A scenario in which the halacha allows a lenient approach to be applied. סתם כלים אינן בני יומן is based on ספק ספיקה, maybe this pot was not used within 24 hours, rendering any absorbed taste pagum (off tasting). Even if it was used within 24 hours, maybe the absorbed non-kosher taste is pagum in this particular food that was cooked, הובא בטור סי’ קכ”ב בשם הרא”ש. The mug or bowl into which food from a pot on the fire is poured into is called a Kli Sheni, a second level utensil. This means that the walls of the utensil are considered to have cooled the temperature of the food to an extent where it is not hot enough to transfer its taste into the utensil walls. The fact that the treif dishes are not washed with the coffee equipment every day allows us to avoid the issue the Shach mentioned earlier, that the mugs could not be allowed based on םילכ םתס since they are used daily with non-kosher milk. A scenario in which the strict halacha must be applied.